You can’t keep a good geek down. 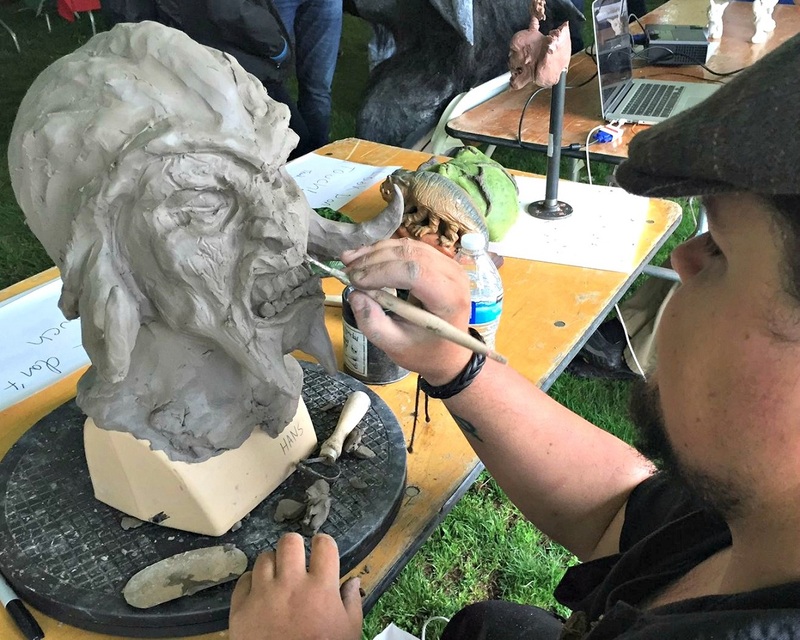 Chilly temperatures and a light rain did not deter thousands of folks from descending on the Westport Library, Jesup Green and Bedford Square, for today’s 6th annual Maker Faire. Every type of STEM creation was represented: robots, 3-D designs, flight simulators, submersibles and more. And of course local organizations: the Y, Wakeman Town Farm and Rotary Club were among those showing their commitment to creativity and community. 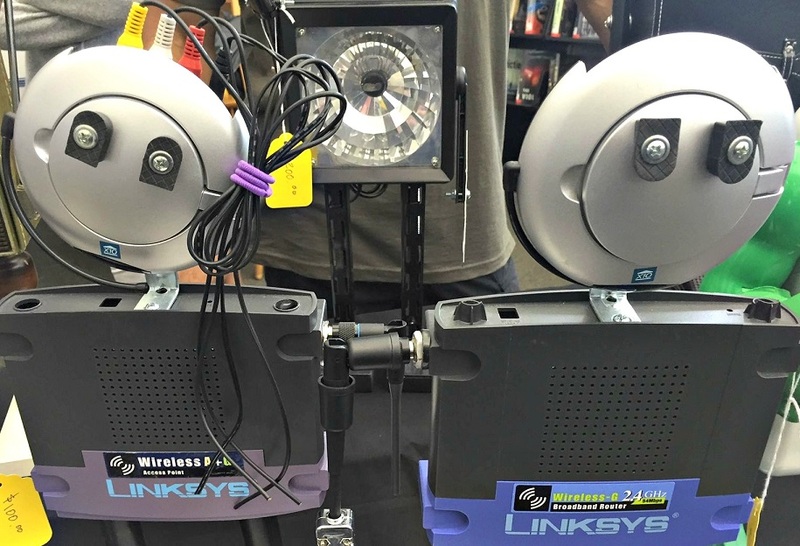 In 6 short years, the Maker Faire has become one of the biggest events of the Westport year. Now all we need is some young guy or girl who can control the weather. Which I’m sure we’ll see next spring. Hand-made robots were a huge hit. Christopher Crowe’s creations drew a crowd. 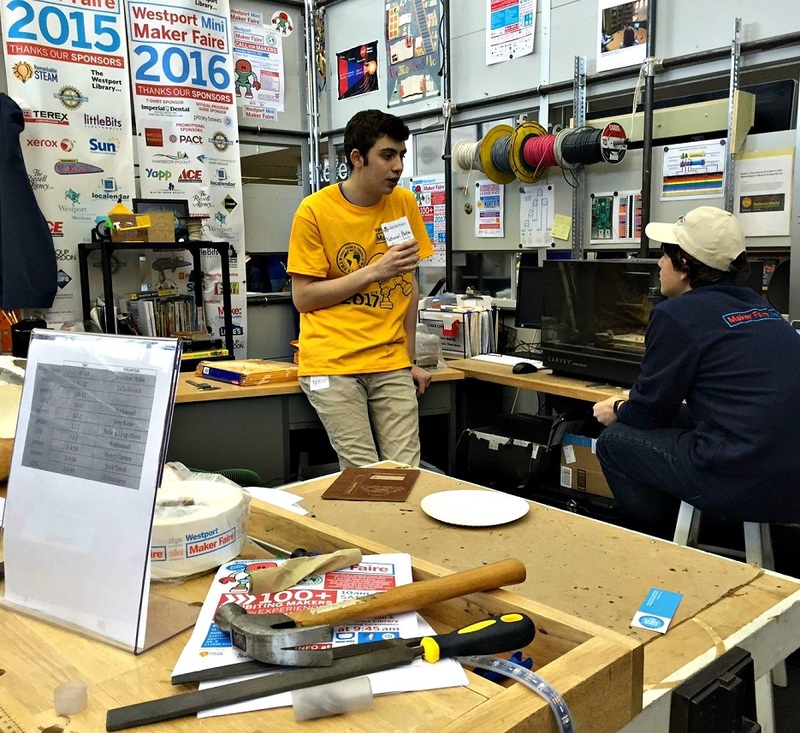 What better spot to hang out in than the Westport Library’s permanent Maker Space? 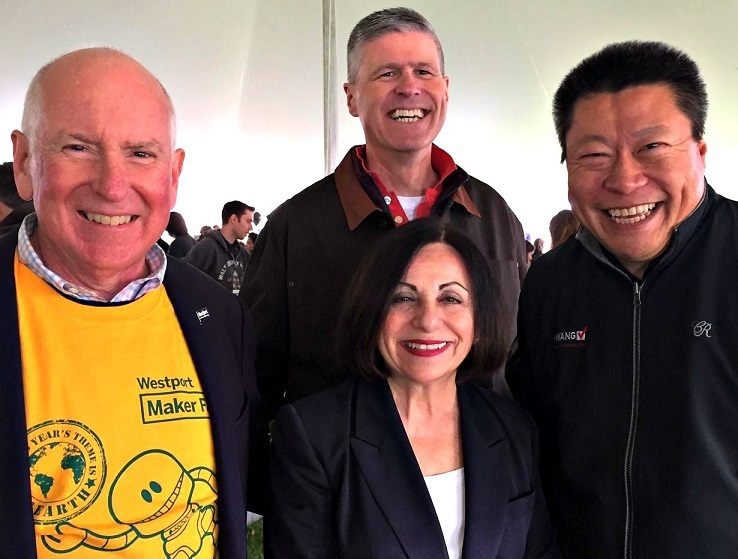 State Senators Toni Boucher (front) and Tony Hwang (right) joined 1st Selectman Jim Marpe (left) and Westport Library trustee Iain Bruce at the Maker Faire. 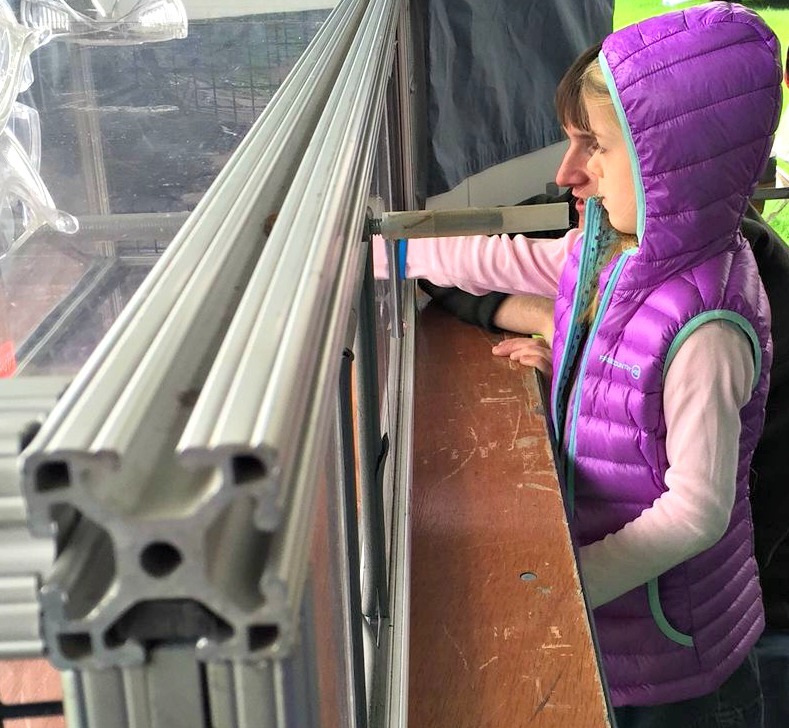 A father gives a hands-on wind tunnel demonstration to his daughter. 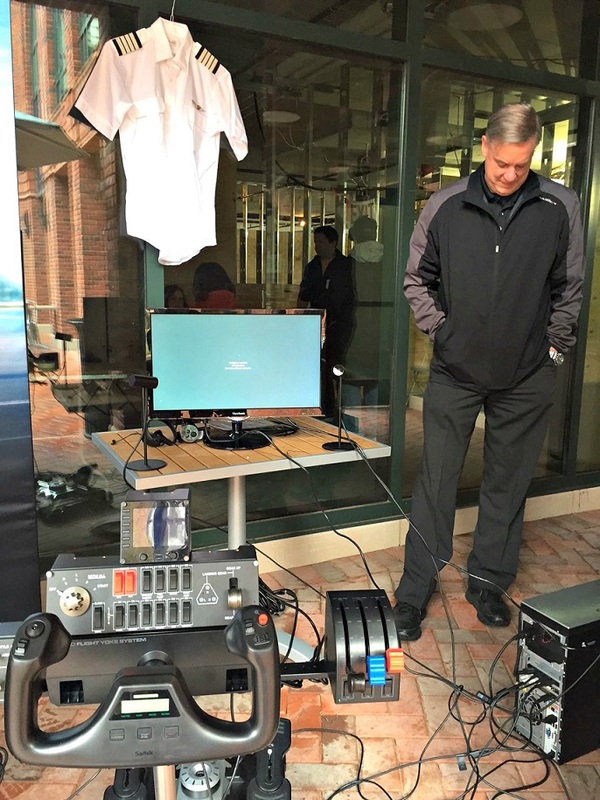 Westporter Charlie Wolgast — a professional pilot — checks out a flight simulator in Bedford Square. 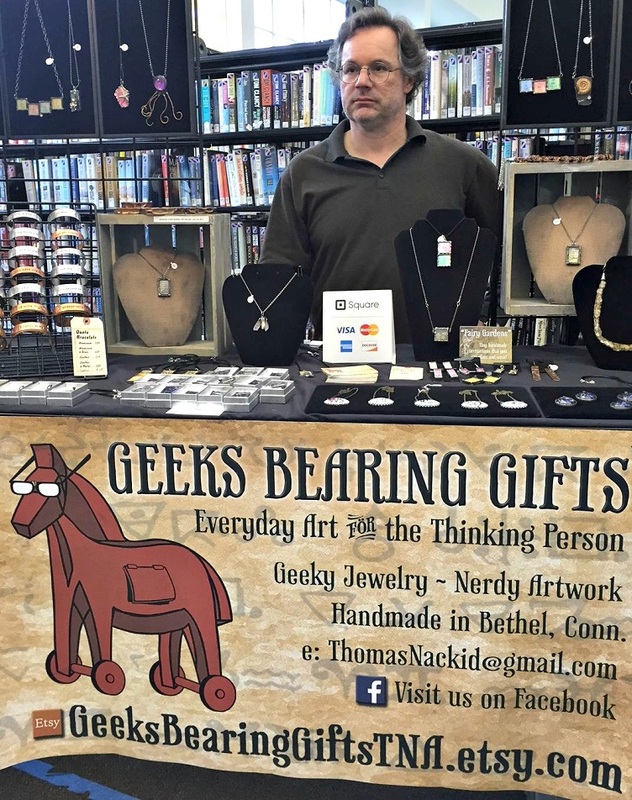 This entry was posted in Downtown, Education, Entertainment, Environment, Library, Local politics, People, technology and tagged Bedford Square, Charlie Wolgast, Jesup Green, Jim Marpe, Westport Library, Westport Maker Faire. Bookmark the permalink. STEM doesn’t have any STEAM without the A for the Arts!!! !